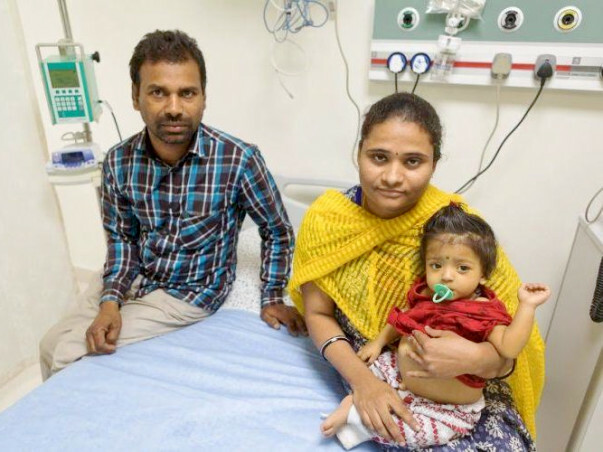 When baby Pranavi was barely 4 months old, she contracted jaundice, her eyes turned pale yellow, she had difficulty in feeding and her stomach started swelling. 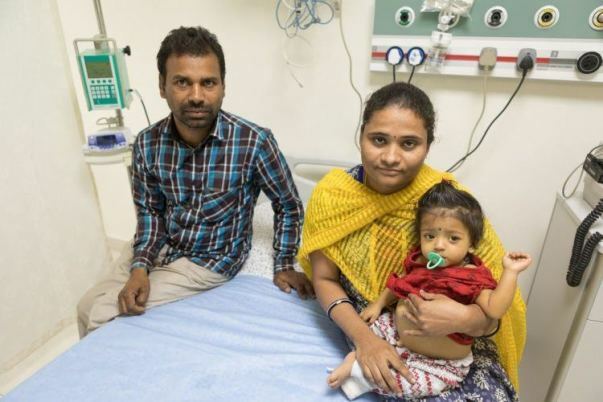 Worried for their baby girl, parents Lakshmi and Madhava took her to a nearby doctor, who sensed that the problem was way more serious than what met the eye. He suggested they take Pranavi to a hospital and consult a specialist. 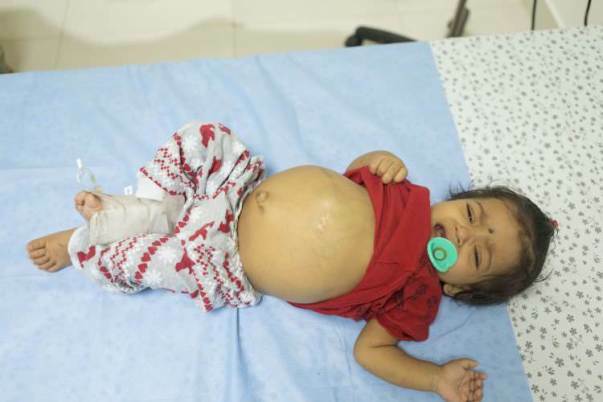 Upon further evaluation, Pranavi was diagnosed with Biliary Atresia and was operated upon, but to no avail. She was then diagnosed with Decompensated Liver Disease. The only way to save her is a liver transplant. 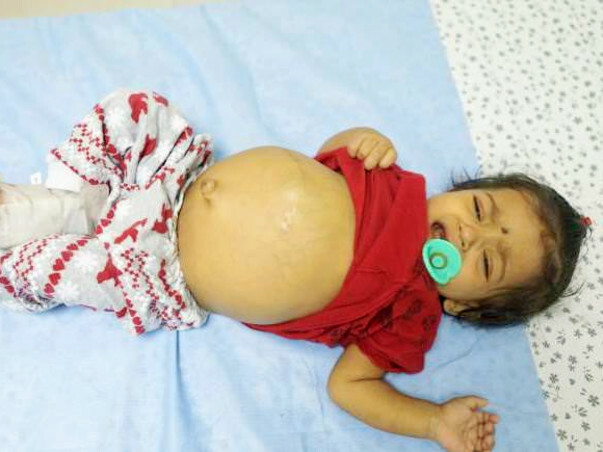 Upon the diagnosis of Biliary Atresia, a Kasai procedure was performed on Pranavi. She initially seemed to recover, but her infections soon came back, in a manner worse than before. During these recurring infections, she would have high fevers for long stretch and would be kept on antibiotics constantly. She used to cry constantly and compulsively scratch her head. Her health started deteriorating further and consequently, she began to be hospitalised more often. It was obvious that the Kasai procedure wasn’t enough for Pranavi, and only a liver transplant could save her life. Pranavi is the only child of Lakshmi and Madhava. She was born after 11 years into the marriage, bringing a ray of sunshine into their lives. 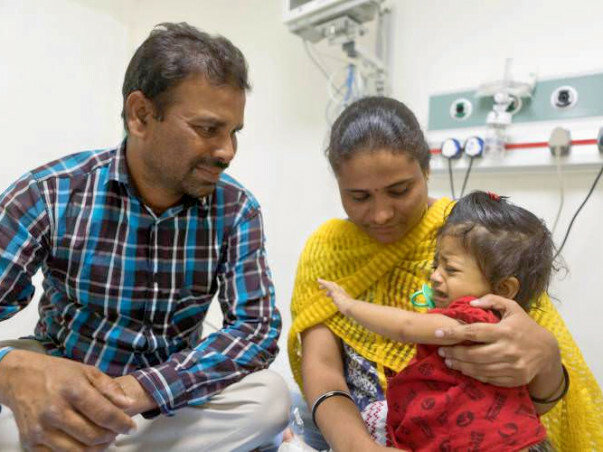 But their happiness was short lived, for within a few months of experiencing the joy of parenthood, Pranavi fell ill. With her diagnosis, their lives were shattered. Their pain on seeing their daughter suffer, is manifolds worse than when they were waiting for a child. Lakshmi and Madhav are fighting desperately to save their baby girl. But all their circumstances seem to be working against them. Madhava works as an auto-rickshaw driver and makes about Rs 300 a day, and Lakshmi used to work as a receptionist at a hospital, on contract basis, to support the family income. But owing to her daughter’s ill health, her presence at the job was irregular until about a month ago, when she quit her job because juggling between work and taking care of her ailing and fully dependent infant daughter wasn’t feasible anymore. Now the family has to manage their expenses within the modest income that Madhav brings home. Affording a liver transplant is well beyond their reach. So far, for her treatment, Madhava and Lakshmi have spent over Rs 4 lakhs, by borrowing money from friends and relatives. The cost of medication per month comes to almost Rs 15,000. The mounting costs of her treatment have been giving them sleepless nights and they’re at an utter loss of means on getting Pranavi the care she needs. Without a liver transplant, the chances of her survival are bleak. Madhav and Lakshmi’s financial condition shouldn’t prove to be a hindrance in the way of Pranavi’s treatment. Let’s contribute towards Pranavi’s treatment, so that she gets a fair shot at a healthy life. Thank you for being so supportive. It gives us immense pleasure in informing you all that Pranavi is doing well now. She is now advised to see the doctor once every month. She sometimes has mild cold and cough. But she recovers from the same in no time. Also, she undergoes blood tests and scans once every month, at the time of her visit to the doctor, to keep a close check on her progress. She is on medication for now. We shall keep you posted. Thank you for your wonderful love and support. This couldn't have been possible without you all. It gives me immense pleasure in informing you all that Pranavi is now doing okay. She is back home now. She was discharged 21 days post her operation. The baby is required to be brought for a checkup once in every 15 days or once a week, depending on the need. She is on medication and is quite active now. She underwent a blood test, x-ray and an abdomen scan to check for any irregularities. A checkup is due today, that is, 10th May'18. We shall keep you posted on further developments. Thank you all once again! Pranavi will be undergoing the transplant today. 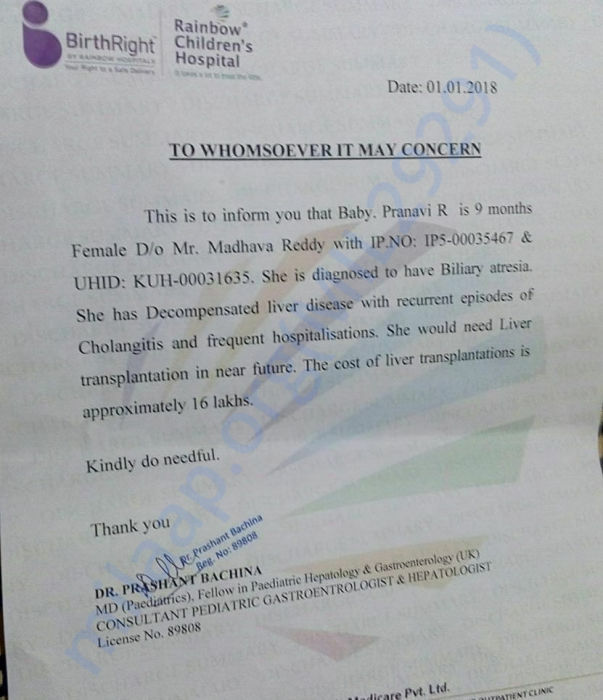 Her mother has decided to donate a part of her liver. We will keep you posted.